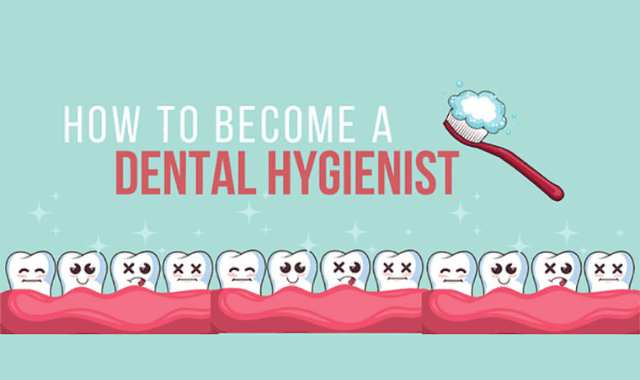 How To Become a Dental Hygienist #Infographic ~ Visualistan '+g+"
Becoming a dental hygienist can be a very rewarding career and the requirements are straightforward. 1. The minimum requirement to work as a dental hygienist is an associate degree from an accredited program, with an additional license. 2. After earning an associate degrees, aspiring hygienists must take the National Board Dental Hygiene Examination. 3. Finally prospective hygienists must pass a clinical licensure test for their state or region.